After decades as an itinerant musician, "organic, outlaw singer" Gina Jones is settling in Salt Lake City. "My dad was kind of like a gypsy and wanted to move around a lot," Jones says. Her family moved to the sticks outside Branson, MO.—"there's not really a city there. Steelville is the closest city." There, the family band of five kids, age 9 to 15, started, singing covers. Their father managed the band; their mother traveled with them. Living so deep in the Missouri backcountry meant spending a lot of time traveling to gigs. Jones' father bought a bus and asked his youngest daughter what color it should be. "I said I wanted it green, like a frog." He complied, adding the band's name: Ozark Rhythm Aires. Only 9 at the time, Jones and her not-much-older siblings had to get permits to play in bars. And even then, they had to be onstage playing—or outside. Her first performance was at Buck Cody's Jamboree in Marceline, Mo., in front of 1,000 people. When Jones' siblings started to play, she froze. Cody stood next to Jones and prompted her: "He said, 'You can start singing, little Miss Gina.' And I opened my mouth and let it fly." Jones says traveling "formed who I am." After Missouri, when Jones was 12, the family moved to Idaho. She and her brother, Stan Barnhart, continued to play music and signed a record deal, but the label went bankrupt before they could record. At 16, Jones married and played only weekend shows. When she divorced at 19, she hit the road solo. "I didn't know how to do anything else." Landing in Nashville, Jones found some success as a songwriter. The Peach State Quartet recorded her song "Right On Time, God" and it hit No. 86 on the Top 100 Southern Gospel Chart. A partnership with Barry Paul Jackson (Sammy Kershaw's "We Didn't Go Near the Water"), yielded 15 published songs. Tanya Tucker and Lorrie Morgan put two of Jones' songs on hold, perhaps indefinitely, Jones says, because "the publisher passed away." 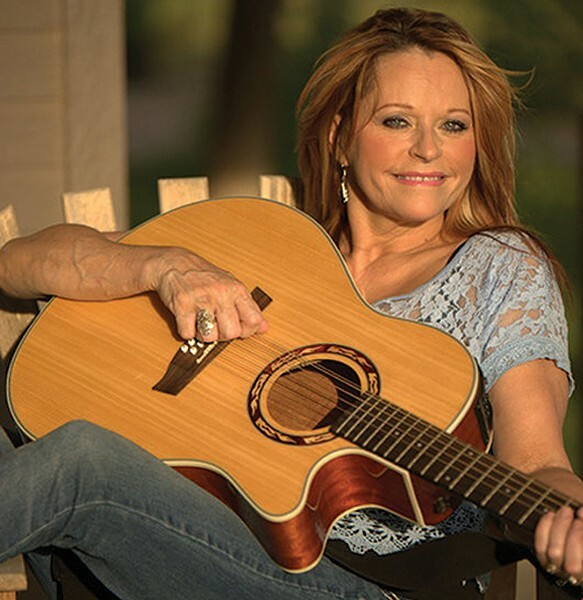 And she gigged, moving from venue to venue on Music Row, sometimes playing three shows in a day, she opened for 38 Opry stars, including Porter Wagoner and Merle Haggard, survivingon tips and CD sales. Eventually, Jones met her mentor, late Nashville Songwriters Hall of Famer Harlan Howard—writer of more than 40 No.1 songs, including Patsy Cline's "I Fall to Pieces." When Howard introduced himself, he was appalled Jones didn't recognize him, saying he'd written some of the best songs in the town. She told him, "That's what everybody [in Nashville] says." He encouraged Jones not to be so personal in her music and helped rein in some of her more raw, intimate tracks. But now, she is back to telling her stories, however tragic. "It causes you to face that situation more, and heal from it," she says. One of her newer songs, "I'm Lost," is written for her niece Jill, with whom Jones had a close relationship. "She was murdered by her boyfriend. He shot her in the back of the head and only got 15 years for it." Jones' sister—Jill's grieving mother—came to Jones with a poem, and "I wrote the song in maybe 10-15 minutes." It's a difficult song for her to perform, "but I feel like I'm doing a tribute to her." "I'm Lost" hasn't been recorded yet, but Jones plans to include it as the single from her next album, which she expects to release sometime next year. Her current CD, You're Not the Only Heart in Town is available on Amazon, iTunes, CDBaby.com and streams on many music services. Jones arrived in Salt Lake City less than two weeks ago, and she's already performed at Park City pub Molly Blooms; she's talking with them about her own Sunday residency in/through September called "Nashville Unplugged 2." The event will be an in-the-round/improv songwriters' night modeled after similar events in Las Vegas and Reno, Nev. While she intends to stay in Salt Lake City for a while, Jones says she'll have to travel "a little bit." That will include jaunts into Nevada and Studio City, Calif., where she occasionally performs at the weekly "Songwriter Sundays" at the Fox and Hounds. "I've kind of lived a country song," Jones says. "I did the tour bus thing, I wrote songs, I really paid my dues there [in Nashville]." She says her divorce wasn't her first, and she's had health issues, but "I keep doing what I know is my calling. ... I'm a seed-planter, so there will never be a time when I'm not telling a story or planting a seed in someone's heart."